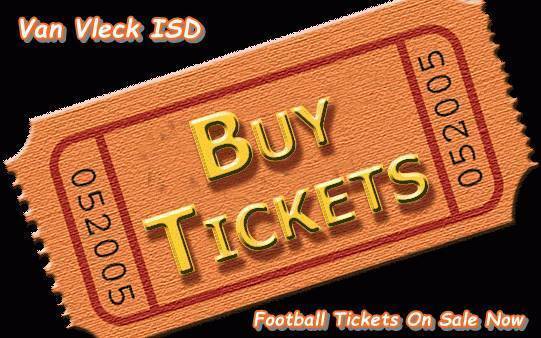 Presale tickets for the Van Vleck vs Palacios football game on Friday, November 3rd are on sale in all campus offices. Presale tickets are $6 Adult and $3 Student. All tickets are $6 at the gate. In addition to the campus offices, tickets are available for purchase at the Business Office.